Message summary: For when our hearts were far away, Your love went further still! “For the promise is for you and your children and for all who are far off, as many as the Lord our God will call to Himself” (Acts 2:39). 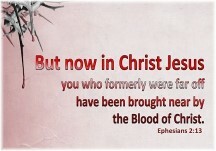 “But now in Christ Jesus you who formerly were far off have been brought near by the blood of Christ” (Ephesians 2:13). Geographically being far off or nearby tends to be relative. 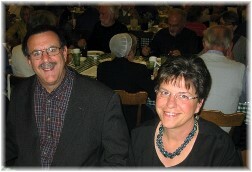 When we first moved to Lancaster County in 2001 we attended a country church consisting mostly of congregants who lived in the immediate area. I asked a young man, “Are you from around here?” He replied, “Oh no, I’m from Manheim”. Now Manheim is a small town only about eight miles from the church but from his geographical perspective “around here” was limited to the neighborhood around the church. From his outlook he lived “far off” in Manheim. 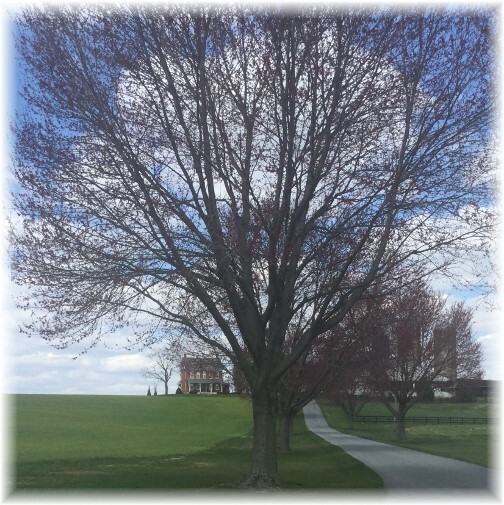 We had moved down several weeks earlier from New England and to us “around here” was anywhere in south-central Pennsylvania, which certainly would include a town only eight miles away! We were both raised in the Midwest, me in Missouri and Brooksyne in Oklahoma so this is now far off to us, over 1,000 miles. But our Zimbabwean friends live on the other side of the world and from their perspective, Missouri or Oklahoma is really not all that far off! Their travel time to Zimbabwe takes over 24 hours via air. But in one way or another we have all been “far off”! And some reading this may still be. Today let us consider the phrase “far off” from Acts 2:39. “For the promise is for you and your children and for all who are far off, as many as the Lord our God will call to Himself” (Acts 2:39). Surely there was a lot of confusion and false assumptions but he boldly asserted the promise of the Gospel of Christ and the extent of who the promise was for. 1) “For you and your children”; Now some of those children were probably there much like the two sons of Simon of Cyrene who were with Christ when He carried the cross. But other children were not, including those who were not yet born. In this phrase Peter may also have been using children in the sense of descendants. But this phrase alone would limit the scope of recipients. After all only a small part of the world’s population was listening to Peter on the day of Pentecost and very few of us would be their physical descendants. 2) “For all who are far off”; What did Peter mean by this? A) “Far off” in the sense of geographically. Before He ascended Jesus gave His disciples the “Great Commission” to “Go into all the world and preach the gospel to all creation” (Mark 16:15). Just ten days before Peter preached this message he had heard Jesus say at His Ascension “You will be my witnesses in Jerusalem, and in all Judea and Samaria, and to the ends of the earth” (Acts 1:8). Even during the events recorded in the New Testament we see this being fulfilled but in our day His gospel continues to go forth and virtually every “far off” place has been impacted. B) “Far off” in the sense of far off generations; looking ahead to the impact of the promise on the generations to come, including our own. It’s really hard to imagine more than several generations beyond our own let alone 2,000 years which for us of course would be 4,000 AD! C) “Far off” in the sense of being far from God. We can be far off from God due to many factors. Some have never heard His message, others have heard but rejected and then sadly some have received for a season but rebelled against it. 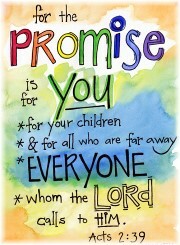 Regardless of how anyone may be “far off” they can be recipients of the promise. 3) For “as many as the Lord our God will call to Himself”; He continues to call out to the fallen human race with a message of redemption, reconciliation and restoration. Have you responded to His call? Later Paul also used the phrase “far off” in his letter to the Ephesians. “But now in Christ Jesus you who formerly were far off have been brought near by the blood of Christ” (Ephesians 2:13). In this context “far off” refers to those who were far off from God. The preceding verses state, “Therefore, remember that formerly you who are Gentiles by birth and called ‘uncircumcised’ by those who call themselves ‘the circumcision’ (which is done in the body by human hands)—remember that at that time you were separate from Christ, excluded from citizenship in Israel and foreigners to the covenants of the promise, without hope and without God in the world” (Ephesians 2:11,12). Daily prayer: Father, we are humbled and grateful that You don’t let people who are “far off” prevent You from drawing us to Yourself, making us Your children. You call those from distant lands, even those under oppressive government doing everything possible to prevent their people from hearing the message of the cross. You call those in far off generations who lived in early civilization, all the generations between and right down to our own. You will call the generations that follow us, should You tarry. And You deal with the hearts of those who are far off from having a right relationship with You, either because they have not heard, they heard but rejected the message of salvation, or they once walked with You but have wandered away from the faith. Surely Your arm is not too short to save, nor Your ear too dull to hear those who respond to Your calling. In Christ Jesus we who formerly were far off have been brought near by the blood of Christ and we will be forever grateful. Amen. My very personable Mom always wanted to know where people are from. If you said you were from New York City, with a twinkle in her eye, she would ask about someone else she knew who lived in New York City expecting that you might very well know them. Being from Missouri, New York was one of those far off places!